A former Iron Maiden singer is suing the band to the tune of $2 million. 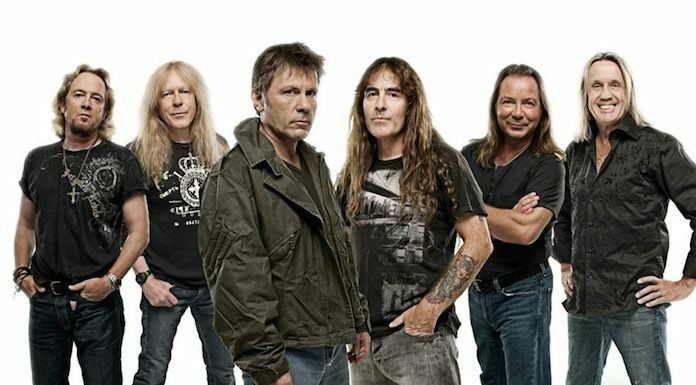 Veteran headbangers Iron Maiden are being sued by their former vocalist Dennis Willcock over disputed lyrics credits and the resulting damages, as reported by Theprp.com. Willcock was an early singer for the long-running English metal band. Iron Maiden bassist Steve Harris and guitarist Dave Murray, along with the band’s publishing arm Imagem London Limited, are facing the lawsuit from attorney Barry McKay on behalf of Willcock and former Free guitarist Terry Wilson-Slesser. Willcock says he wrote the lyrics to four of the group’s songs in 1977 but never received proper credit. He also claims he co-wrote the song “Prodigal Son” with Harris. Iron Maiden didn’t release their first album until 1980 (with singer Paul Di’Anno). Moreover, Wilson-Slesser says Maiden’s song “Hallowed Be Thy Name” contains elements lifted from a song he penned for the band Beckett in 1974, “A Rainbow’s Gold,” per Kerrang. “This is outrageous. Absolutely ridiculous,” a spokesperson for the band said of the $2.6 million lawsuit, as noted by The Sun. Iron Maiden formed in 1975. The songs Willcock claims he co-wrote appear on their first two albums, Iron Maiden and Killers. Interestingly enough, McKay has filed suit against the Maiden songwriting team of Harris and Murray before. He previously sued the band over disputed “Hallowed Be Thy Name” songwriting credits on behalf of Beckett musician Brian Quinn. What do you think about the lawsuit against Iron Maiden? Sound off in the comments.